Carolyn A. Barber is the Ron and Carol Cope Professor of Music and Director of Bands in the University of Nebraska-Lincoln’s Glenn Korff School of Music. She earned a B.M. in horn performance at Northwestern University, an M.M. in horn performance from Yale University, and returned to Northwestern to earn her D.M. in conducting as a student of John P. Paynter and Victor Yampolsky. Dr. Barber began her career as a lecturer and assistant to the dean of the Northwestern University School of Music. Her duties included teaching advanced conducting and directing the university’s Concert Band. Prior to her appointment at UNL, Dr. Barber also served as the director of bands at the University of Wisconsin-La Crosse. Apart from her conducting and teaching at UW-L, Dr. Barber served for five years as the principal horn of the La Crosse Symphony Orchestra. Dr. Barber has been a presenter at the Midwest Clinic, CBDNA, ASTA, and NAfME conferences, state music educators conventions, and district training workshops nationwide. She has received numerous awards for musical and academic achievement, including the Hixson-Lied College of Fine and Performing Arts Distinguished Teaching Award, a Hixson-Lied Professorship, multiple National Band Association Citations of Excellence, and a United States Navy Good Conduct Medal – an unusual distinction for someone who has never had the honor to serve in the military. Most recently she was named the 2019 Martha Daniel Newell Scholar at Georgia College where she spent a semester developing a course and engaging in research focusing on the creative process. Her writing has been published in the Journal of Band Research, and she is a regular contributor to the Teaching Music Through Performance in Band reference series. In addition to her scholarly activities, Dr. Barber maintains an active schedule as a guest conductor throughout the United States and Canada. 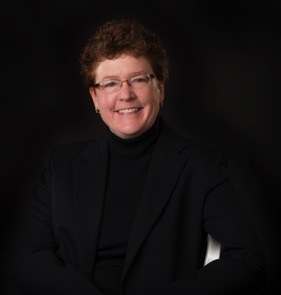 She is state chair for CBDNA, a peer reviewer for the Journal of the Conductors Guild, immediate past president of the Nebraska State Bandmasters Association, and a past president of the Big Ten Band Directors Association.